The party appears to be ending for Vijay Mallya, the tycoon behind India’s best-selling beer. Lenders will auction the Mumbai office of his Kingfisher Airlines on 17 March, about three years after its planes were grounded and employees stopped getting paid. Mallya—whose flagship beer brand carries the slogan “King of Good Times”—is one of the most visible among India’s so-called “wilful defaulters” who don’t pay back loans despite banks’ claims that they have the funds to do so. “It sends a clear signal to delinquent borrowers that they need to take genuine efforts to repay loans or face consequences,” Karthikeyan P., a Chennai-based analyst at Cholamandalam Securities Ltd, said by phone. The latest steps by authorities could trigger “the beginning of the end”, he said. India has entered the final stage in its fight against rising bad debts. Banks are reporting their largest ever losses after authorities identified Rs.8 trillion of stressed assets in the system, and both central bank governor Raghuram Rajan and Prime Minister Narendra Modi have given them until March 2017 to clean up their books. The mountain of non-performing assets is holding back investment, threatening the sustainability of an economic growth rate that is outpacing all other major economies. Collecting on overdue payments and reviving stalled projects will free up cash, lower borrowing costs and boost lending, easing pressure on Modi to fund Asia’s widest budget deficit. While Mallya’s case is high profile, pressure is growing to get tough on other defaulters. The Supreme Court this month directed the Reserve Bank of India (RBI) to share a list of the country’s largest defaulters in the last five years and also sought details of loans above Rs.500 crore that were written off by state-owned lenders. 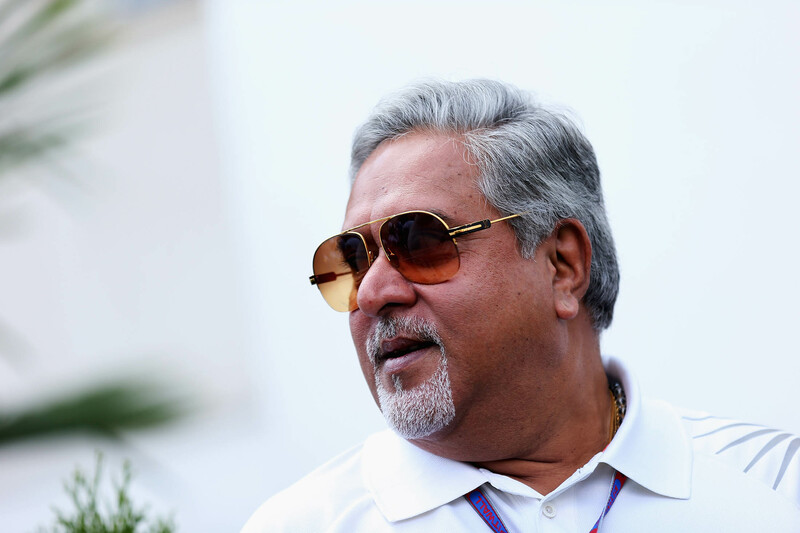 Mallya, 60, took over United Breweries Holdings Ltd, known as UB Group, from his father in the 1980s. Under his watch Kingfisher beer came to dominate the India market, a position it holds to this day. UB Group also started Kingfisher Airlines, which was one of India’s leading airlines from 2005 until it stopped flying due to financial pressure in 2012. Kingfisher Airlines owes about Rs.7,000 crore to lenders, SBICAP Trustee Co., leader of the 17-bank consortium, said in a notice on its website this month that listed Mallya and United Breweries Holdings Ltd as guarantors. Last February SBICAP Trustee used a 2002 law to seize the airline’s Mumbai office, which had been put up as collateral, about two years after demanding payment on the loan, according to the document. Punjab National Bank—India’s second-largest state-run lender—this month named United Breweries Ltd a “wilful defaulter,” the company told the stock exchange on 16 February. It is considering challenging the declaration in court, according to the statement. Mallya was criticized after he threw a two-day party in December to celebrate his 60th birthday. Enrique Iglesias serenaded the audience while Mallya called his friends “his biggest assets,” the Mumbai Mirror reported. Sumanto Bhattacharya, a spokesman for Mallya and his United Breweries Holdings, didn’t reply to questions e-mailed on 17 February. A letter seeking comment that was delivered on 19 February to his Bengaluru office also received no reply. Bhattacharya declined to comment when reached multiple times on his mobile phone, including on 22 February. Mallya last week told Times Now TV channel that he is making all possible efforts to reach a settlement with the lenders, without elaborating. Punjab National Bank isn’t the only bank to have declared him a wilful defaulter, he said, refusing to provide more details. He also declined to comment when asked about Rajan’s statement on flaunting money. In June 2006, Mallya directly or indirectly held about 23% of Kingfisher Airlines and was the single largest shareholder, according to stock exchange filings. This stake dropped to 8.5% by September 2014, about a year before trading in the shares was suspended, in part because banks converted defaulted loans into equity, according to the latest available filings. Mallya’s public holdings, including stakes in two liquor companies, are valued at $256 million, according to data compiled by Bloomberg from the latest company filings. United Breweries Ltd, the maker of Kingfisher beer in which Heineken NV owns about 42%, reported a net income of Rs.260 crore last year. United Spirits is controlled by Diageo Plc, which has sought to oust Mallya as chairman following an internal enquiry that said he diverted funds to other group companies under his control. Mallya at the time said he intends to continue as chairman, and that the board’s decision relied on a report based on “half truths and twisted facts.” Earlier this month, he told the Wall Street Journal that he is willing to make a “clean break” for the right settlement. Holding the auction a year after authorities seized the airline has eroded the value of Mallya’s assets, said Vibha Batra, group head for financial sector ratings in New Delhi at Moody’s Investors Service’s local unit Icra Ltd. The asking price of at least Rs.90,000 a square foot for Kingfisher House is unreasonably high for its location and will struggle to find buyers, the Asian Age reported on 14 February, citing property valuers. The struggle to recover dues has revived speculation about the government creating a “bad bank”, which would take over toxic assets and leave lenders with clean balance sheets. Such a company would need more than Rs.1 trillion in funding if it purchases about half of the end-September non-performing assets at 60% of their value, according to Crisil Ltd.
Rajan said earlier this month he didn’t see a need for a bad bank now because most of the problems were with public-sector banks backed by the government. Rising bad-loan provisions must be considered as an “anesthetic” before “surgery” is conducted on the banks’ books, he said, adding that not all stressed assets will sour. “While we shouldn’t underplay the dimensions of the task, we should be confident that it is manageable, and that the government and RBI will do what it takes,” Rajan said in a speech last week. Indian banks have a higher bad-debt ratio and its regulatory system is less prepared for a financial crisis than that of China, according to Bloomberg Intelligence analyst Alex Gardner. Soured loans jumped an unprecedented 30% in October-December, and Credit Suisse Group AG predicts it will rise further to about 6.6% of total loans by March. Shares of state-run banks, which hold the bulk of the losses, have tumbled 35% to 60% over the past six months. So recapitalization costs will probably rise to anywhere between $34 billion and $53 billion, Credit Suisse analysts led by Ashish Gupta wrote in a 15 February report, compared with the $11 billion pledged by the government. Besides providing more capital, the government is also setting up more debt tribunals and drafting a bankruptcy code to replace an existing web of laws that officials say favour debtors.